Spruce up your C-Bus Saturn switchplates with Pre-Labelled Button Caps for Saturn Style C-Bus and C-Bus Wireless Wall Switches. 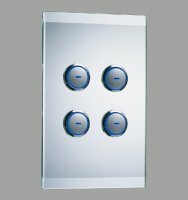 Designed to enhance the ease of use of the visually pleasing C-Bus Saturn Wall Switch Range. 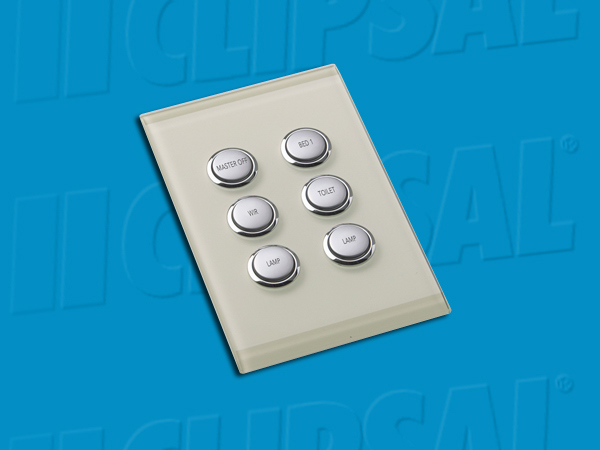 The pack consist of 66 individually printed button caps with commonly used functional descriptions making light circuit or switch purpose idenitification easier. With titles such as 'Family', 'Lounge', 'Scene 1', 'Meeting', etc. each pack contains one of each of the individually labelled Button Cap. Very useful for large 'ganged' switches in open plan locations, visitors, and upmarket rental properties. A similar pack of pre-labelled buttons for the Saturn 240V (non C-Bus) series is the Clipsal 60PBC.